My first encounter with Digital Mold® was two years ago at a design manufacturing solutions exhibition. At the Stratasys Japan booth, President Hashizume of Swany Co., Ltd. was giving a demonstration that included Babyplast (a small injection molder). That sent a chill down my spine. 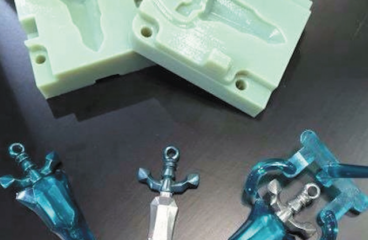 I had previously heard of the resin characteristics of the PolyJet type 3D printer of Stratasys. I had asked a certain company to experiment with it, but had gotten a vague response like “we’ll do it when we can”. At that time I thought “well, if they don’t understand it,that’s all I can do”. So, when I saw Digital Mold®, instead of feeling that I had been surpassed, I was happy to find someone to work with. Even if there are only a small number of shots, this technology makes it possible to obtain, in the shortest time,“parts that have the same characteristics as parts manufactured in volume”, and I was sure that any engineer would feel the attraction. 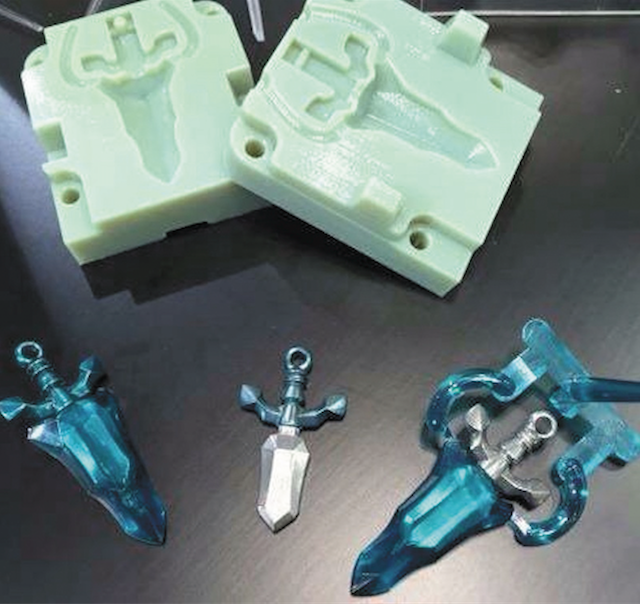 It was an extremely easy demonstration to understand, about how 3D printing applications are moving from rapid prototyping to rapid manufacturing that can handle small quantities of many types of parts. Several months later, when I was lecturing at an event of a certain company, I again met Mr. Hashizume who was also a lecturer. The latest material that Mr.Hashizume was announcing at the time was shown in a video about “transparent injection molding”. The video, which showed how the material flowed and then was hardened by cooling, got me excited because I was thinking about the conditions within a mold, both from my experience and from theory. Sometime later I asked some of the staff whether it would be possible to practically apply this digital molding technology at Takara Tomy. Unfortunately they did not understand my idea and I gave up feeling like I had to wait for the most appropriate request to come along. At the time, a proposal came unexpectedly from the video game giant Level-5, where planning had been proceeding with the utmost secrecy. 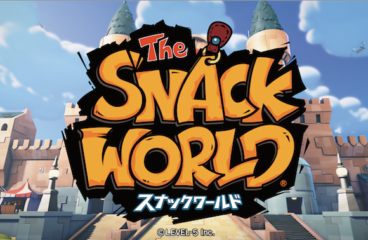 This was the proposal for “Level-5 New Snack World”. 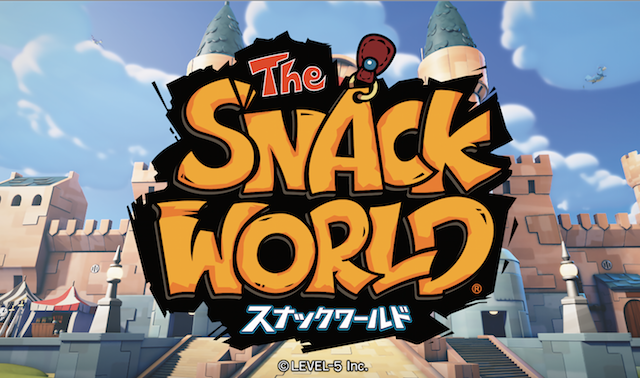 The content of the proposal was to make Jara, which appears in the new RPG Snack World, and to distribute it for free to those who attended the new announcement event in April 2015. At the time, the request said “it is okay to take a copy of a trial product, and prepare 2000 items of the pieces that appear in the images”. However, we couldn’t realistically make 2000 rubber molds. Considering the finishing, then the cost and schedule, it would be impossible to estimate. Since this project was proceeding as top secret within the company it wasn’t easy to ask for technical support from outside. It would have been okay if, as a normal case would be, the schedule was reviewed after the specification was finished, then the molds created and manufactured in quantity. However, in this case the announcement of the event for the beginning of April had already been planned, and we couldn’t meet the schedule within the normal lead time. Even if it were a normal production mode, it would have conflicted with the Lunar New Year in China, where the main manufacturing site is located, and information leaks would have also been a concern. 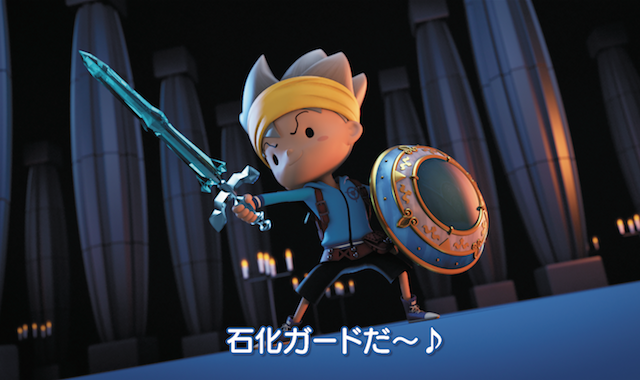 Time was a big problem for us so I called Mr.Hashizume at Swany, whom I had met before, and gave him an overview of the project to see whether it would be possible to do this with Digital Mold®. Mr. Hashizume understood the difficult situation from the conversation and he quickly responded, “Very interesting! We’ll do it!”. Several days later I went to the Swany headquarters in Ina City, Nagano Prefecture, for detailed discussions. The final specifications had not yet been decided, however the technical verification for each process was performed based on the specifications I had previously drawn up. 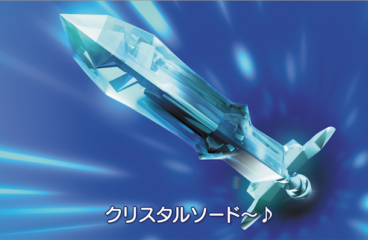 At this point the problem was the design for the main body of the “Crystal Sword”. The form had a really cool shape. 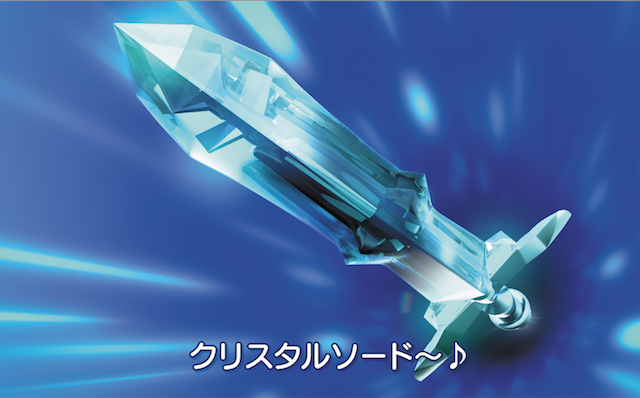 It looked simple but the design required technology with a high hurdle, strong metal parts inserted into, and partially exposed from, a clear blue main body of crystal. For a typical product the company puts together a selection of technologies as happens to be convenient but this time we were advised that we could not make major changes because we had to keep in step with the images being used for the manufacturing. Many items caused concern, such as the position of the inconspicuous gates on the transparent crystal parts, the color adjustment of the transparent parts, the metal parts, baking equipment that had the same precision as the mold, the resolution of nicks and voids on the thick front edge portions. 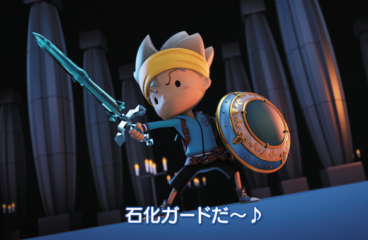 Since the names of both Level-5 and Takara Tomy were involved, there were notifications from quality management that “safety standards must be met” and it was expected that the approval processes for everything that was involved would take time.